Blurb Eleven years ago, my life was ripped away from me. My father, my brother, my humanity. Everything. I was thrown into the Kamps, created to be a mindless killing machine. But I fought against it, not letting them take away my memories of the past. It has been seven years since I was taken out of the Kamps and made into the Emperor's Shadow. Now I only take orders from him, and him alone, without question. That is, until my brother, who I thought was dead, shows up and kidnaps me in order to help him find some long lost planet that our father used to tell stories about. 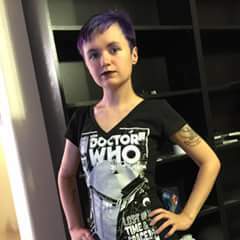 Bio Dani Hoots is an author, artist, creator, environmental activist, apothecary, and so much more. If she's not working on one of those things, she is probably picking up another hobby. She loves writing in all different genres, including sci-fi, fantasy, young adult, horror and romance. Her previous works include "A Falling Starr" and "A World of Vampires." 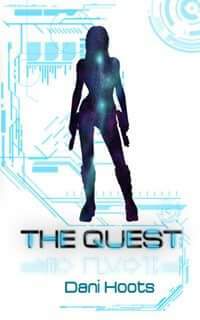 Her newest novel coming out in April is a scifi young adult novel called "The Quest." Dani Hoots is also currently in Your Novel Year program at Arizona State University, has a Masters of Urban and Environmental Planning, and lives with her awesome husband and two cats in Seattle.